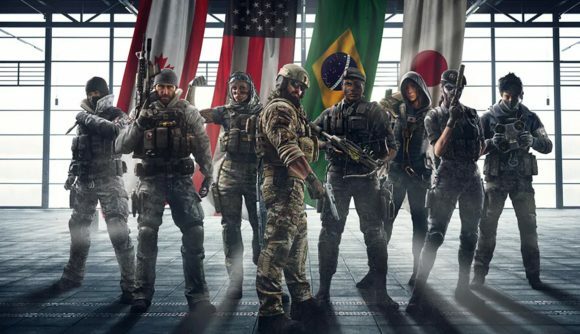 You’ve got a new way to enjoy competitive Rainbow Six Siege – at least temporarily. The Road to Six Invitational event adds a set of new playlists that let you play under the same rules the pros do. That means you’ve got a limited pool of competitive maps, as well as access to features like the pick and ban system. Now players are hopeful that this is test for a full rework of ranked play. The playlist will be up every weekend heading into the Six Invitational finals. That’s January 25-28, February 1-4, February 8-11, and February 15-18. For each weekend period, the playlist will open at 7:00 PST / 10:00 EST / 15:00 GMT, and will close at the same time on that last day. You’ll have access to the bomb mode on Clubhouse, Coastline, Consulate, Border, Bank, Oregon, and Villa. You’ve got operator bans, three rounds on each side, and seven second durations for planting and defusing – just as you’d expect. Ubisoft hasn’t specified whether this is a test for broader changes to ranked play, but judging by the community’s response so far it’s a step in the right direction. Matchmaking seems to be the one major thing missing, as there’s no apparent MMR tied to the mode. You can read more details at the official site. You can also check out a trailer for the event below. We’ll likely finally see the Year 4 roadmap at the Six Invitational, so there’s more in Siege’s immediate future than a set of special playlists. Look forward to finding out if all those Australia leaks are legit soon.